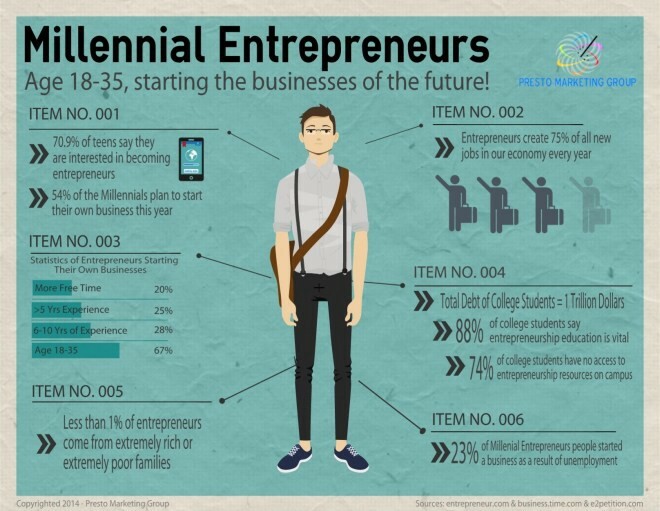 The Millennial Entrepreneurs : Do You Have IT All ? This word entrepreneurship is quite a buzzword and also my favorite topic being an startup consultant and mentor for some of the new age entrepreneur. Having experienced all kinds of emotion around it i feel this entrepreneurial voyage can be a blessings for some but can also be a slow killer (Emotionally) for most, if they have not done their homework right before venturing into it. Today we will try to decode what are the challenges as an entrepreneur and how you can prepare yourself well to avoid being emotionally drained while experiencing it. Also we will share some facts and figures about millennial entrepreneurship, But before that let’s go into the history of entrepreneurship to understand how it started and how it transformed to this new age of startups and entrepreneurship. The word Entrepreneur as been loaned from french word and first got it’s mentioning in 1723, Historically the study of entrepreneurship reaches back to the work in the late 17th and early 18th centuries of Richard Cantillon, which was foundational to classical economics.The word “entrepreneurship” was first coined in 1920 while french loan word entrepreneur dates back to 1850. An entrepreneur is willing and able to convert a new idea or invention into a successful innovation. Entrepreneurship employs what Schumpeter called “the gale of creative destruction” to replace in whole or in part inferior offerings across markets and industries, simultaneously creating new products and new business models. Current generation is popularly called millennials and entrepreneurs who decided to stand out and shine can be called as Millennial Entrepreneurs. 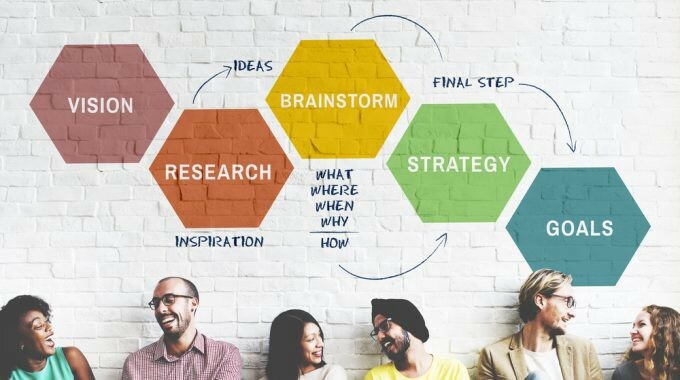 The entrepreneurs who are living in this digital era where they are leveraging the latest technology to convert their ideas into a solution for the masses are termed as Millennial Entrepreneurs. The term “entrepreneur” is often compared with small business and sometime used interchangeably but there is a difference between the two, as entrepreneurship can be associated with starting a small business but not all small businesses are entrepreneurial in the strict sense as it can be started by solo proprietor, but entrepreneurial venture mostly brings some innovative minds together to offer solution to the market which never existed previously and aim to grow and scale as they progress to build their startup, which is rarely a case with small proprietorship based business which majorly offers an existing product, services and a rarely a scalable . So we have covered some basic stuff related to entrepreneurs and entrepreneurship, but now it’s time to understand what are the challenges for this new age entrepreneurs and why most of them will never succeed in-spite having access to most of the resources at their discourse. Have you emotionally oriented yourself to sustain the phase of your entrepreneurial voyage when things will not go as per your plan . This is the real beauty of being an entrepreneur you will always phase the surprises which can bold you but if you are consciously competent you can sustain that phase with a more evolved being then you expected from yourself. For some this situation can throw them for toss and put them out of business, but if you have the emotional intelligence to understand why life is putting you to test you can learn and grow out for good . When you are not alone in this journey and has lots of expectation to meet from the fellow members, clients and investors it become really important that you are emotionally healthy. Your health will decide if you can pull your startup out of troubled situation, because after all you are dealing with human beings around and not the machine. When i say you need to be emotionally strong both from mind and body i mean to say , you need to raise you awareness level and observational skills . You need to be fully aware of what and why of the situation you are in and have to make a emotional connect with the people you are dealing with. Are you daily habits are in alignment with the need of the body to keep it agile and receptive. These are few questions which you need to answer without failing to keep yourself fit for being an millennial entrepreneur. To venture into your dream startup business can be easy sometimes but to keep the fuel going to sustain your ups and downs in this voyage can take a lot of toll of you. Entrepreneur who master the art of empathizing the people around them are the one’s who find it easy to sustain and scale their business to the next level. People management doesn’t comes naturally to everyone but the founders who learn and practice this skill-set stands out and help is building a profitable and futuristic business in all kinds of situation. So yes you have all the resources, you have right kind of environment to thrive, you have the knowledge economy and experienced mentors around to get you through in your dream journey, but all these will cease to work if you have not oriented your body mind and soul which can sustain these moments of successes and failures. But if you have invested upon yourself both cognitively and emotionally you can be among the few who makes it big and help the people around to grow together. It’s an age of collaboration and inclusive economy and if you are inclusively involved with your team you will build the right company who is here to stay for long haul. Signing off and wishing you all a very successful journey in whatever you plan to do with both soul & heart. The Day When I broke the shackles To Set Myself Free of Fear ? Android Developers Have You Switched To Kotlin Yet ?